CARACAS - Venezuela is having elections earlier than planned. Instead of October, they will be in April now. And they will be rigged in favor of the Socialists United Party of Venezuela, aka PSUV. PSUV once enjoyed the glories of $100 barrel of oil and a charasmatic, quasi-mythical leader in Hugo Chavez. Those days are as gone as the Jurassic Period. Venezuela is a complete mess. It has over 1,000% inflation, according to the IMF. It has suffered a massive brain drain as middle income and many wealthy Venezuelans have fled the economic crisis to move to Spain, Colombia, Brazil and into Miami. 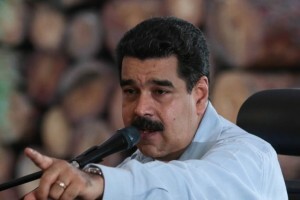 It’s leader, Nicolas Maduro, wants to show the world that they are ready for democracy. So ready, in fact, that they are going to have elections sooner than planned. But, says Nomura Securities’ best Venezuela watcher, Sioban Morden, they will surely be rigged. “The announcement of presidential elections before April 30 doesn’t come as a surprise since President Maduro needs to hold elections ahead of the fast deterioration of the economic crisis on the view that sooner is better than later,” she says. The early call for elections takes advantage of the weak and divided opposition. The logistics are difficult on selecting a unified eligible candidate now that PSUV has banned the serious opposition contenders from running late last year. The opposition parties were also roundly defeated in previously rigged municipal elections back in October. One politician, Henry Falcon, said he will challenge Maduro along with another Henry, Henry Ramos Allup. But the parties that form the Democratic Unity Roundtable coalition, the anti-PSUV coalition of small parties, needs a candidate they can rally behind and these two are not it, according to Morden. Maduro benefits even from a non-rigged election because he has no major, nationally known challengers. Maduro needs to maintain full military support and control the election narrative as the economy just keeps getting worse. Venezuela entered into restricted default on its debt in November. They have paid PDVSA and state debt late. New bond issues are sanctioned. Maduro is also sanctioned by Washington. Electoral fraud would only invite a backlash from Washington. There hasn’t been much of a market reaction in bond prices to snap presidential elections.